Faced with dwindling profits caused in part by frugal customers struggling in a tough economy, Boscov’s Inc., has filed for bankruptcy and plans to close 10 stores, including five in Pennsylvania. Boscov’s shoppers, including some Bloomsburg University students, are now waiting to see if 79-year-old Albert Boscov, who recently came out of retirement to take over as CEO and chair, can turn things around. One BU student, Annie Carper, recalled a pleasant shopping experience at the Steamtown Mall in Scranton. The Boscov’s in Scranton is not listed among the five Pennsylvania stores slated for closure. 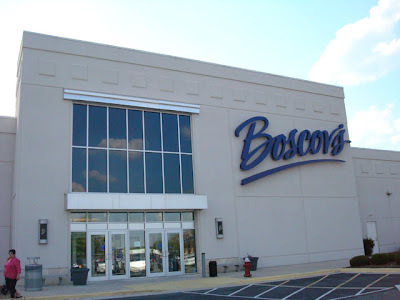 After nearly a two-hour hearing in late November, a U.S. Bankruptcy Court judge in Delaware approved the $300 million sale of most of the assets of Boscov’s Inc. to family members Al Boscov and his brother-in-law, Ed Lakin. The sale received a guaranteed amount of $35 million in federal loans. Meanwhile, company officials are putting a positive spin on the reorganization. Boscov has also asked the city of Scranton, to help him secure a federal loan to help save the city’s downtown Boscov’s store. He made a personal appearance at Scranton’s city council meeting in February of this year. Scranton Mayor Chris Doherty had promised a $3 million loan in federal money under a plan to revive the struggling department store chain. Boscov said his 39 stores, including the one at the Mall at Steamtown are at stake, and without that anchor store, the mall could also collapse. “We would hope it doesn’t happen but if Boscov’s closes its store at Steamtown, I don’t think the mall could survive. We’re a major anchor,” said Boscov. Boscov family members are investing $53 million in the purchase, Gov. Ed Rendell stated in late November. The company also is borrowing other money from various lenders, which include Bank of America Corp., Wells Fargo & Co. and GE Capital. Rendell announced that the state would direct $35 million of federal money to help Boscov complete the purchase. Without the state-guaranteed federal loans, Boscov would not be able to secure the necessary financing, leaving the company no choice but to liquidate its assets, affecting 5,000 employees and closing 25 stores in the state. Previous articleAre Freshman Driving Privileges Necessary? Next articleBU Ice Hockey Team Wins Championship!